Dar es Salaam, Tanzania's commercial capital, is getting back to normal after two days in which the city found itself playing host to arguably the most powerful man on earth: President Barack Obama of the United States. The city's streets were inundated with posters of the man. 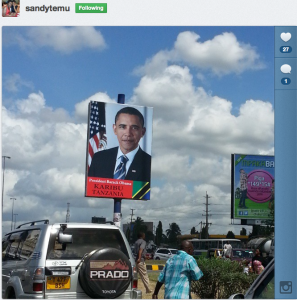 Image of President Barack Obama on a billboard in Dar Es Salaam. 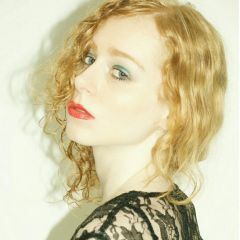 Photo courtesy of Sandy Temu. 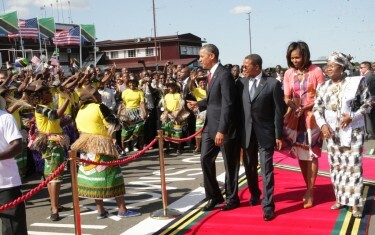 President Obama arriving at Julius Nyerere International Airport. 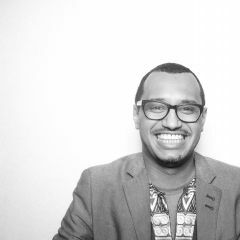 Photo courtesy of Issa Michuzi. 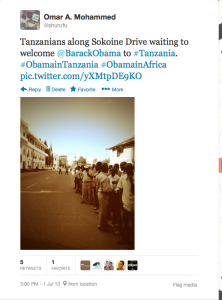 @bkyeyune: By the looks of the online images/photos, Obama had more fun in Tanzania than he had in South Africa. 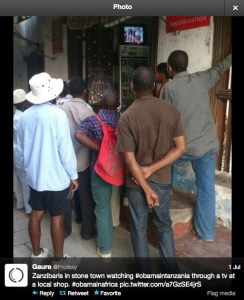 Zanzibaris watching Obama's visit on local television station. 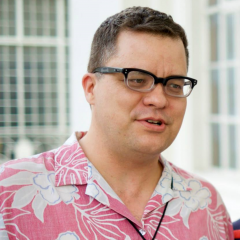 Photo courtesy of @Profesy. However, not everyone in the country was as enthused about Mr. Obama's visit. The gentleman in the YouTube video below posted by Omar A. Mohammed, Karabani, Ras Novatus and John Mahundi, who was working just a street away from where the presidential motorcade eventually passed through, suggested that Obama was in Tanzania purely for self-interested motives and that his time in Tanzania had nothing to do with helping the country or its people. I can understand the vast security preparations for him, but should we only clean up when we have a high profile guest? I understand that he comes to visit our country and maybe he has good things in store, but our reaction to his visit is absurd. What message are we sending to our fellow African states, and most importantly, to the world? What message are we passing along to the young generation, the leaders in the making? America’s global leadership remains robust – at least for now. 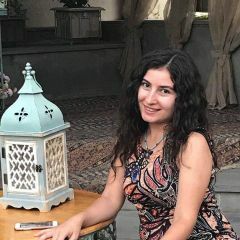 One way to retain and strengthen it in the face of insecure world and a deepening economic and cultural competition is to project it for the good of humanity. And this is the expectation of most Africans – that America shouldn’t befriend a country just for security or strategic concerns but because of advancement of shared values – of freedom, equality, tolerance and human progress. 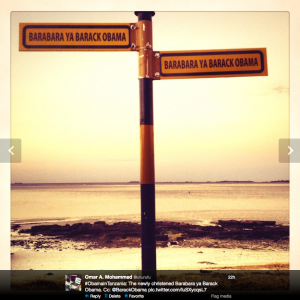 The newly christened Barabara [Road] ya Barack Obama. Image courtesy of @shurufu.